The RAM trucks at our Manchester area showroom are capable of towing plenty of weight, but even the best trucks need to be handled correctly to get the job done. Whether you’re new to towing cargo or an experienced driver, our guide to the basics of towing is sure to be helpful. 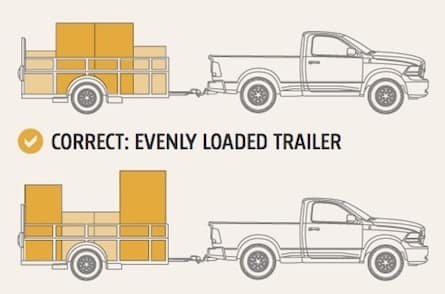 Before you hitch up your trailer or load up your cargo, be sure to double check the weight ratings for your vehicle and trailer. Double check that your hitch and ball are the right class for the load you’ll be hauling, too. As long as the number’s all check out, you’re good to go. 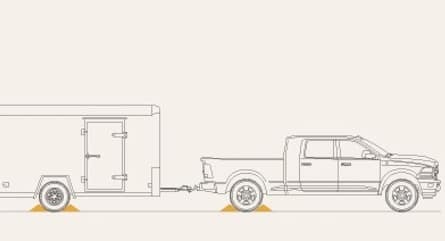 Ensure that the trailer receiver is properly mounted to the ball and locked in place, then connect your wiring harness and chains. Double check that your trailer’s brake lights work properly. Your chains should cross from side to side and form an X under the trailer receiver. This prevents the receiver from nose diving directly into the pavement if your hitch does fail, allowing the chains to do their job until you’re able to come safely to a stop. Be sure to load cargo evenly in your trailer, with the heaviest items close to the axle. This should be a familiar distribution, since you should load the bed of your pickup the same way. Another familiar tip is to ensure all of your cargo is properly secured with appropriate straps for the weight involved. Once you’re ready to go, be sure to take your time and to drive cautiously. 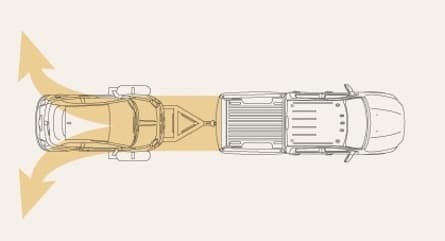 You acceleration, braking, and maneuvering are all slowed down by the extra weight of towing, so leave extra space when driving to ensure you have the time you need to react. You’ll need to make wider turns with longer trailers, too, so be sure to plan accordingly and account for other vehicles and obstacles. If you feel the trailer begin to sway, don’t turn or brake right away; simply take your foot off the gas and allow things to stabilize. To avoid sway, be sure to switch lanes and take turns as easily as possible. Don’t forget to account for the added length of a trailer when passing slower vehicles, too. One thing that many drivers forget is to ensure you have a full size spare for your truck when towing, as well as a spare for your trailer. If you get a flat, a compact spare won’t work for the stress and weight distribution of towing. 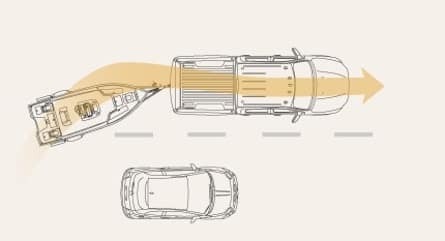 Just like acceleration and turning, braking will be slower while towing. When you come to a stop–or approach a hill–be sure to take your time and allow plenty of space for slowing down. When you park, be sure to do so on a level surface and to apply your parking brake and to use chock blocks on your trailer; chocks for your truck aren’t a bad idea, if you have them. When possible, park so that you can pull forward to leave a spot. You will occasionally need to reverse while towing, though, especially when trying to launch a boat. 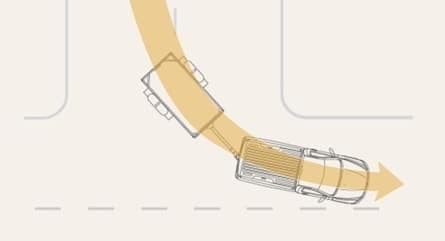 To maneuver while in reverse, put your hand at the bottom of the wheel and move it gradually in the direction you want the trailer to go. Move slowly, as small movements of the wheel translate to more drastic turns for the trailer. If you start to jackknife, just pull forward to straighten out and then give it another shot. As long as you focus on safety and take your time when towing, your truck can help make tough jobs seem easy.  For more information on towing safely, or to come in and see our powerful pickups in action, be sure to contact Contemporary Automotive serving Manchester online or to give us a call at (844) 500-6722 today.